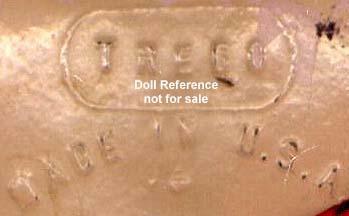 The Trego Doll Manufacturing Company made antique composition dolls; some dolls have imported bisque heads, others have composition heads, both dolls have composition German like multi-ball jointed bodies. 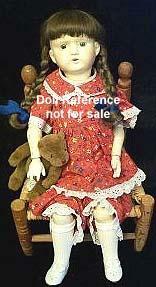 Not much is known of this company as it produced dolls for only a few years. 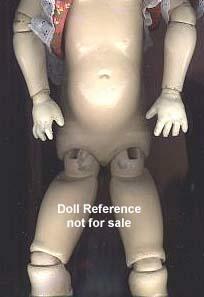 But we did manage to find a few nice photo's of a doll to identify. 1918-1921 Trego Girl Doll, 24" tall, all composition doll with a brown wig in pigtails, blue or gray sleep eyes, lightly painted eyebrows and both upper and lower eye lashes. 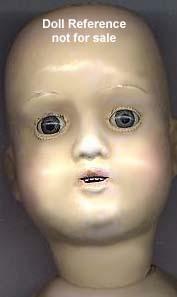 open mouth with teeth, multi-jointed composition body; jointed at the neck, shoulders, elbows, wrists, hips and knees. TREGO in an oval circle, MADE IN U.S.A.